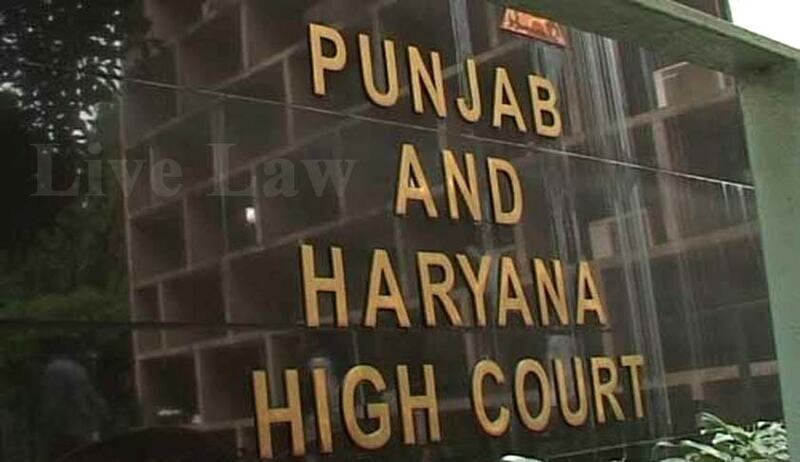 The Punjab and Haryana High Court in a landmark judgment has answered two interesting questions of law, firstly whether the appointment of Lokayukta for the State of Haryana amounted to “employment” and secondly whether the office of Lokayukta Haryana came under “the Government of State of Haryana” and the appointment would be hit by the prohibition under Section 11 of the Armed Forces Tribunal Act, 2007 (‘AFT Act)? Authored by Justice Rameshwar Singh Malik, the High Court held that after the appointment of Lokayukta, as per procedure provided under the Act, State of Haryana has no role to play, in the independent functioning of the institution of the Lokayukta and his appointment did not fall within the scope of term “employment”, as envisaged under Section 11 of the AFT Act and under Article 319 (d) of the Constitution of India. The brief facts of the case are that feeling aggrieved against the appointment of Justice (retd) Naval Kishore Aggarwal as Lokayukta for the State of Haryana, petitioner Ravinder Kumar approached the High Court seeking a writ in the nature of Quo-Warranto and Certiorari for quashing the appointment as Lokayukta. After demitting his office as judge of High Court of Chhattisgarh, Bilaspur, Justice Kishore was appointed as judicial member of Armed Forces Tribunal (AFT) at Gauhati bench. Further, at the time of his appointment as Lokayukta, Haryana, Justice Kishore was posted as judicial member of AFT, regional bench, Kolkata, in the West Bengal. Since the term of Justice Pritam Pal (former judge of this court) as Lokayukta, Haryana, was to expire on 17.1.2016, the State of Haryana initiated the process for appointment of Lokayukta. After completing the consultation process, as envisaged under Section 3 (1) of the Haryana Lokayukta Act, 2002, notification dated 1.4.2016 came to be issued by the state, as envisaged under Section 3 (2) of the Act, appointing Justice Kishore as Lokayukta for five years, from the date he assumes charge of his office. Since Justice Kishore was working as judicial member of AFT, regional bench, Kolkata, he submitted his resignation to the competent authority and informed the Chief Secretary to Government of Haryana that on acceptance of his resignation, he shall assume the charge of the office of Lokayukta Haryana and was administered the oath as Lokayukta for the State of Haryana on 19.7.2016, by the Governor of Haryana and accordingly, notification dated 20.7.2016 was issued. The High Court held that Lokayukta is certainly more than a simple investigator and exercises the powers of a quasi-judicial authority. Keeping in view the powers, functions and duties of Lokayukta, as provided under the different provisions of the Act, it was concluded that the Lokayukta enjoys the status of a sui generis quasi judicial authority. While placing reliance on the provisions of Section 11 of the AFT Act, the petitioner had submitted that on ceasing to hold the office as Judicial Member of AFT, Justice Kishore was ineligible for further employment under the State Government. In this regard, he also placed reliance on the marginal note of Section 11 of the AFT Act, to contend that legislative intent was to prohibit holding of any office by the judicial member of AFT, on ceasing to be such member. The High Court dismissed the writ petition holding that after the appointment of Lokayukta, as per procedure provided under the Act, the State of Haryana has no role to play and his appointment does not fall within the scope of term “employment”, as envisaged under Section 11 of the AFT Act and under Article 319 (d) of the Constitution of India.